Whenever there is a celebration, you will find cake. Each cake has a story and fun cake designs are remembered long after the party is over. Sometimes more pictures are taken of the cake than of anything else. I have always enjoyed planning the cakes for the birthdays of my children because I know an amazing cake is something they will remember even after the birthday party is over. As a cake decorator, I love to find interesting and fun cake designs. Coming up with a creative cake based on a party theme or interest is a challenge at times. A successful cake looks and tastes great. Finding the balance between a great looking cake that also tastes delicious can be tricky. Some cake and frosting recipes taste fabulous, but are hard to work with when shaping and decorating a cake. People may remember a beautiful cake, but if it doesn’t taste good, the memory of the occasion will be tainted. Take some time to explore the site and learn some tips so you can make your own fun cake. As a cake decorating community we want to learn from each other. If you have made an amazing cake share your story and cake decorating pictures here. Inspire us with your amazing tips too and let us all learn together. Learn how to make baby shower cakes to impress family and friends. Many baby shower cake designs are easy for even amateur cake decorators. Free sweet 16 birthday cake ideas. Photos to illustrate easy directions for sweet 16 cakes. See many boys birthday cakes and get free instructions to make your own easy birthday cakes. Be inspired with our birthday cake pictures and share your own fun cake designs. Find many girl birthday cake ideas here. See birthday cake pictures and get free instructions to make these easy birthday cakes. Free instructions with photos to make a dump truck birthday cake, perfect for anyone who loves construction vehicles. A dump truck cake is perfect for a boy's birthday party. Easy for you to make. Free instructions for simple, yet adorable flower birthday cake. Change the look by experimenting with colors, textures and tips. Popular girl birthday cake and Mothers Day cake. Score points with this fun football birthday cake. 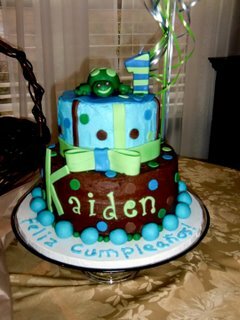 Free instructions and cake photos will help you create boys birthday cakes that will be remembered. Get your free instructions to make your own adorable ladybug birthday cake. Directions and photos included. Learn to make a soccer cake with free instructions and photos. It has never been so easy to make such a great cake. Amazing soccer cake for end of season soccer parties, birthday parties and more. Free instructions for this amazing beach themed cake, perfect for a girl birthday cake. A beach birthday cake is perfect for anyone who loves to swim and spend time at the beach. Create an amazing flower birthday cake this year with fondant and simple flower cookie cutters. Its easy and we have free instructions and cake photos. Free photos and instructions to make sunflower cakes with basket weave cake decorating technique and royal icing flowers. Get free instructions with lots of photos and make your own Winnie the Pooh baby shower cake. Step by step instructions will make this cake easy to create for your next baby shower. Free tips and techniques to create your own custom cake toppers. Instructions for using fondant, modeling chocolate and royal icing to create unique cake toppers. Learn how to make your own Winnie the Pooh cake topper using fondant. This is perfect to use as a baby shower cake topper or birthday cake topper. Create original cake topper today with free guide. Pictures of Winnie the Pooh cake, a fun baby shower cake. Learn how to put this cake together with instructions and photos. Cake boards support a cake, but they also add to the overall appearance and theme of your cake presentation. Learn how to use a cake base shape to create a professional appearance.